Easyrig for Handheald and Gimbals. The Easyrig Vario 5 gives you the same advantages as the other Easyrig models with the added benefit of being able to adjust the line tension from 11 - 38 lbs (5 - 17 kg). To adapt to many different cameras and configurations. 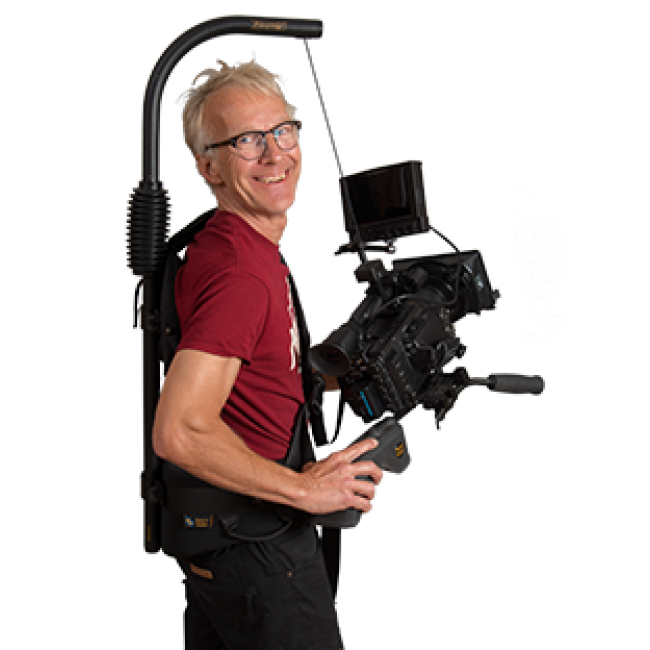 Easyrig modified vest for Gimbal rigs has been designed with a wider front, fitting around the waist and over the hips. This new construction provides superior lower back support that allows the cameraman to carry weights further away from the body.